“It drives itself,” I say, bewildered, as if vocalizing it to the empty cabin around me will somehow make it more real. OK, perhaps autonomous driving is an overstatement. 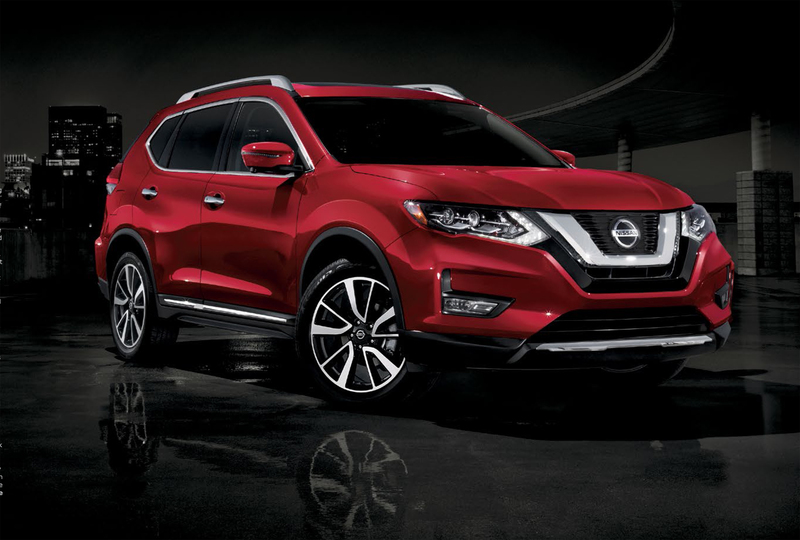 Still, the 2019 version of Nissan’s stalwart crossover has all the makings of a vehicle that can navigate you to that not-to-distant automotive eventuality. Bequeathed with ProPILOT Assist, the Rogue brings Nissan’s driver-assist intelligent technology to life through the push of a button. Located on the steering wheel, it allows me to set the speed, maintain a set distance from the vehicle ahead, keep me in my lane and even guide me through gradual corners. In this case, my afternoon commutes up the QEII Highway was borderline blissful as I merely hovered over the pedals and steering wheel like a dutiful parent not quite ready to cut the cord. While it was one thing for Tyler, Brasso Nissan’s resident delivery specialist, to explain these features – and others such as intelligent emergency braking – it was quite another to experience it. And trust it. From tip to tail, the Rogue wants you to have faith – that it won’t allow you to cross a lane on Glenmore Trail unsafely thanks to blind spot warning. Or that you won’t back into someone at the Chinook Centre parking lot with the safety of real cross traffic alert. Safety was only part of my Rogue story, though. Comfort and convenience were the others. Obvious favourites include the heated steering wheel, reclining rear seats, dual climate control, a touch-screen centre console and 360-degree camera that made parallel parking a breeze. Yet a trio of other features are worth singling out. long stoplight. Sweet relief for tired legs. Second is the rear cargo space. Dubbed by Nissan as Divide-N-Hide, it allows for 18 (!) different configurations, in addition to being borderline cavernous. Combine that with motion-activated liftgate and that week’s trip to Costco was never easier. As for the ride itself, the Rogue drove as you would come to expect from a vehicle that’s been refined by Nissan over the past decade. The 2.5-litre I-4 and Xtronic CVT (Continuously Variable Transmission) navigated my morning Deerfoot Trail commutes, trips to the store and transports to and from the kids’ dance studio with relative ease. The Rogue, very simply, was a vehicle that was easy to get used to driving. In the end, the only challenge I had with the Rogue was when I returned it to Brasso Nissan. Because once I saw a glimpse of the future, I never wanted to go back. fleet of no-charge service loaners, door-to-door shuttle service, car washes and complimentary car care clinics.